The world is loving Z.E.N. Food’s easy and delicious meal options. See what they’re saying below. Zac Efron hasn’t made a secret of his toned body, but the heartthrob took six-pack abs to a whole new level while preparing to play a marine in an upcoming flick – and put them on display while out and about in California recently. Efron, who bulked up with the help of trainer Logan Hood, kept his diet in check by following healthy eating tips from nutritionist David Allan. Also a factor in his toned physique: During mealtimes the actor, 23, turned to Z.E.N. Foods, an L.A.-based meal delivery service. 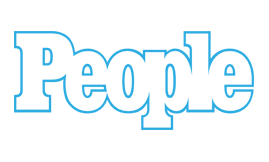 For more about Efron and his amazing body transformation, pick up the new issue of PEOPLE, on newsstands Friday.